Dust off your gilet, and mix up a strong flask of Pimm's. 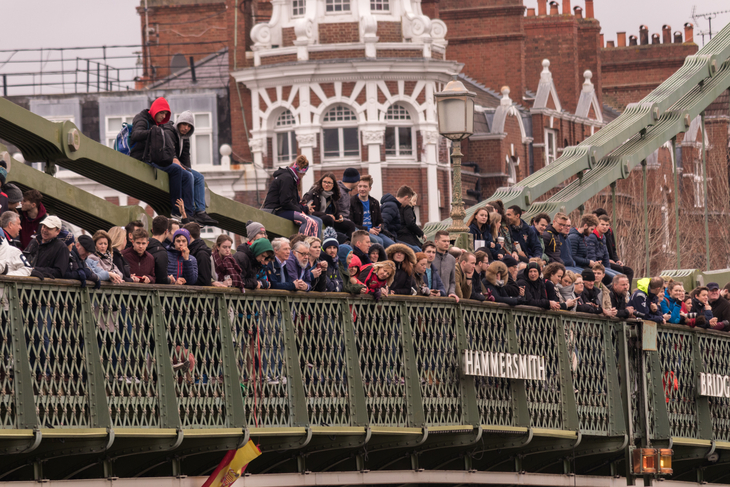 It's time to watch London's poshest annual sporting fixture: the boat races. 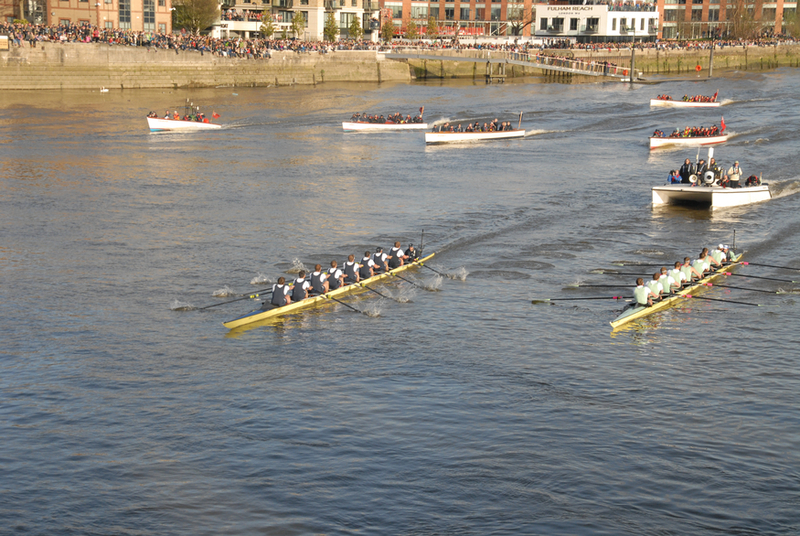 There are actually two boat races — which pit rowing teams from Oxford and Cambridge universities against one another, in a furious dash along the Thames. It all started with the men's inaugural fixture in 1829 — a race which has been held annually since 1856, world wars excepted. The women's race first ran in 1927, although it didn't become an annual event until 1964. It wasn't until 2015 that the women first raced the same course, on the same day as the men. When are the 2019 boat races? Sunday 7 April. The women's race begins at 2.13pm. The men's follows at 3.10pm. What route do the boat races take? Both races now cover the same route. A four-mile, 374 yards dash along the Thames, westward from Putney to Mortlake. The women's course record was set by Cambridge in 2017: 18 minutes, 33 seconds. The men's record is also held by Cambridge, set in 1998: 16 minutes, 19 seconds. So yep, considerably shorter than watching a footy match. Where's the best place to watch the boat races from? We recommend you get to any of these places at least a couple of hours before the races start. A picnic and warm clothes aren't a bad idea either. 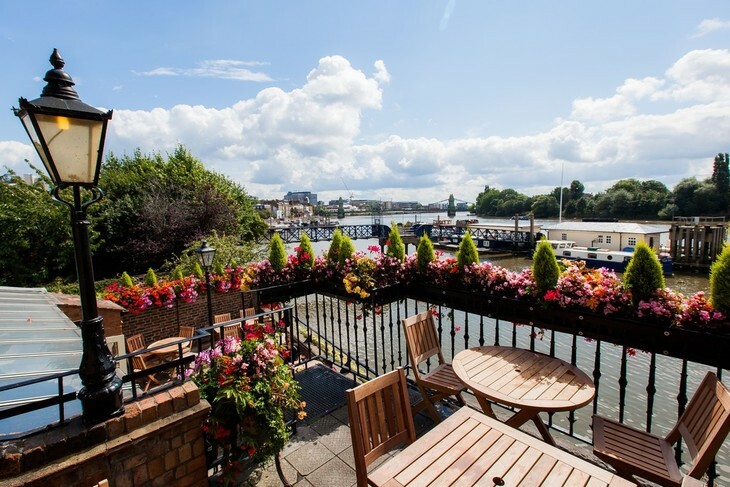 Where's the best pub to watch the boat races from? Try one of these riverside beauts. But get there early if you're after a decent view of the river. 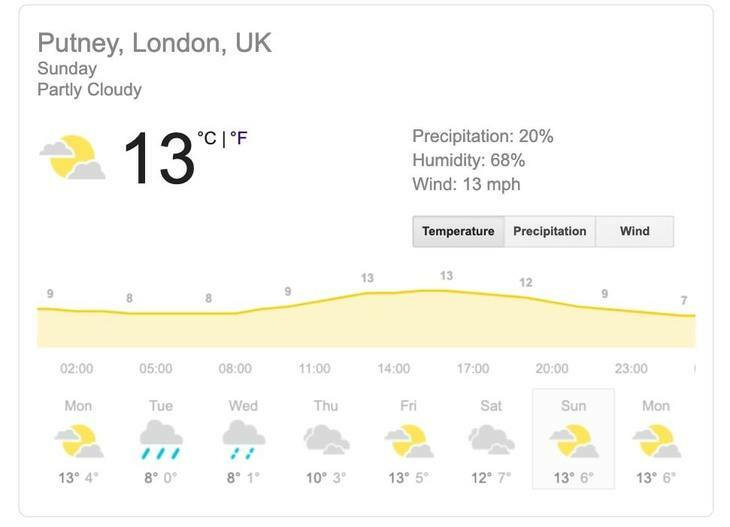 Cloudy, mild, but dry apparently. Could be worse. We'll take it. Are the boat races shown on TV? Yep. Watched by about 15 million people. Both races are broadcast on BBC One on Sunday, with commentary beginning from 1.20pm. For more information on the boat races, including details on who's rowing, visit the official website.